HomeChef Inc.is offering select franchise opportunities for Home Chef Cooking Schools. The franchising opportunity presents numerous business advantages, including a devoted customer base, exponential growth potential, exceptional cross-marketing possibilities, as well as use of the strong Home Chef Cooking School brand, competitive advantage, an efficient operating system, extensive training and marketing programs, a proven curriculum, and an experienced, respected corporate support team. 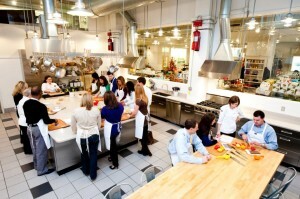 Home Chef Cooking Schools target an upscale audience with a strong interest in food, wine, travel and entertainment. Home Chef Cooking Schools are a subsidiary of the HomeChef Corporation.